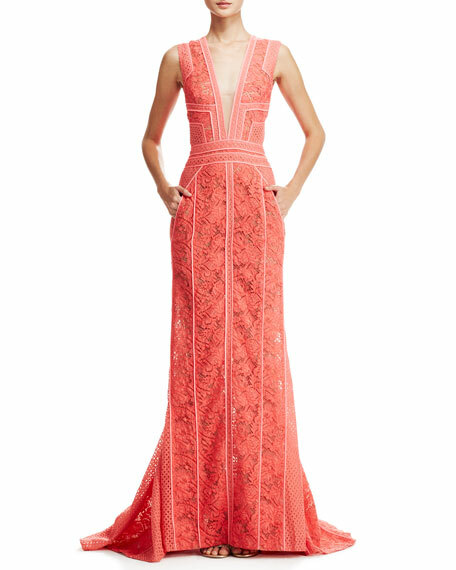 J. Mendel gown showcases precise seams and color-pop lace. 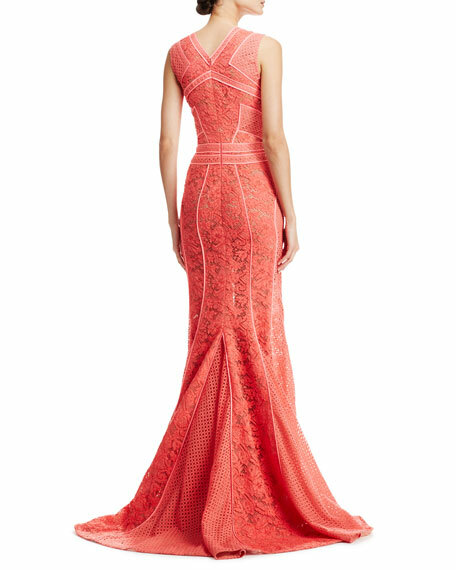 Floral lace with perforated panels and contour seams. V neckline will not be as deep as it appears; sleeveless. Length from shoulder to hem: approx. 64" front, 74" back. Cotton/polyamide; floral lace, cotton/rayon/polyamide; silk lining. Watch a behind the scenes video of the J. Mendel Spring 2012 runway show.